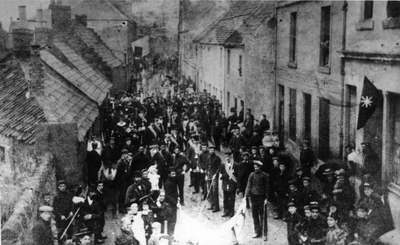 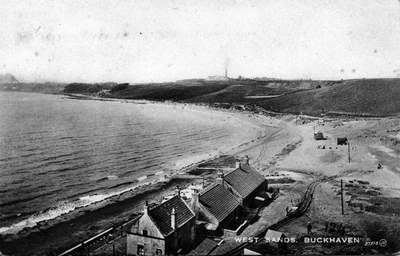 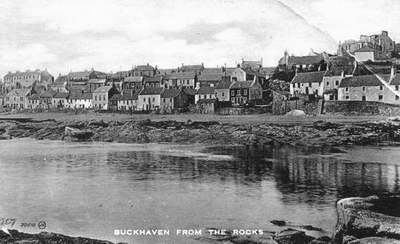 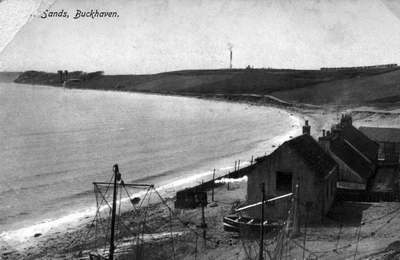 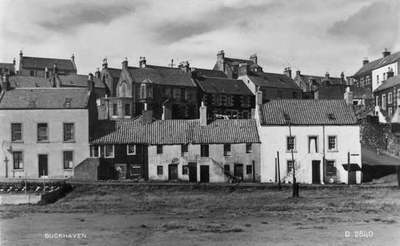 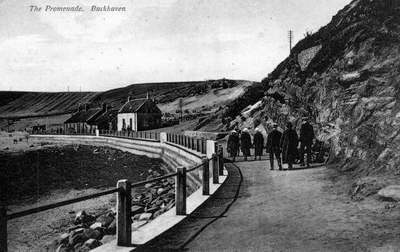 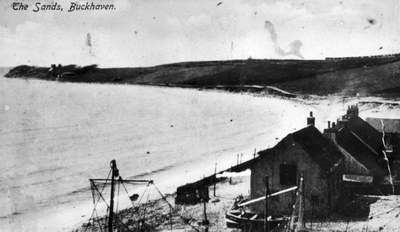 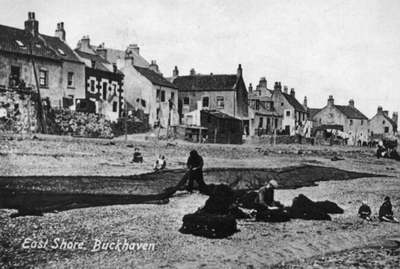 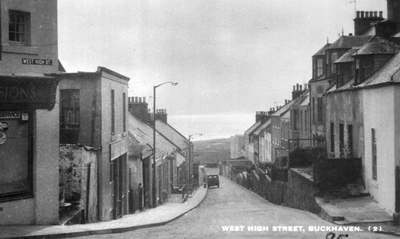 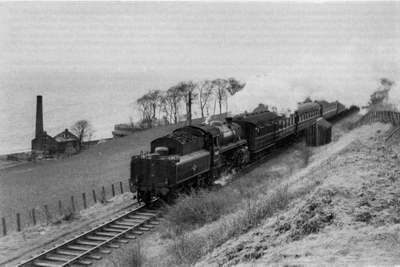 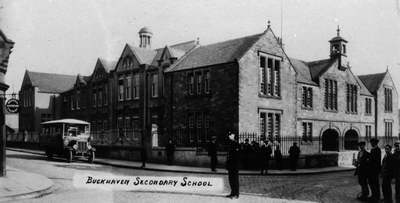 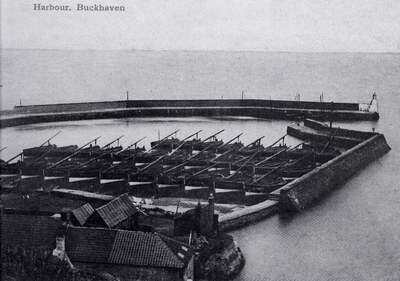 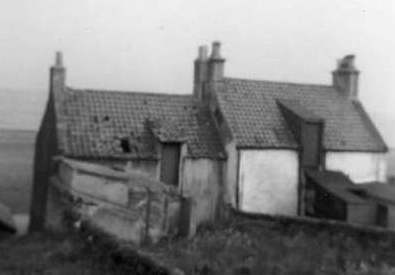 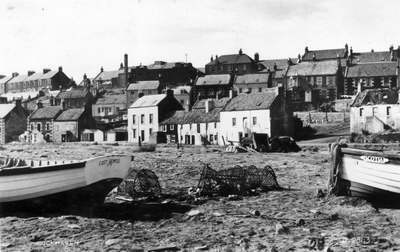 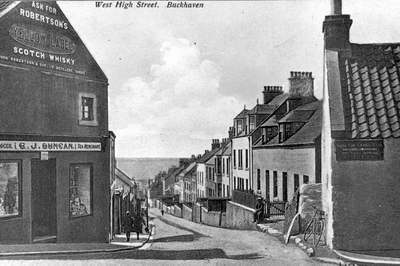 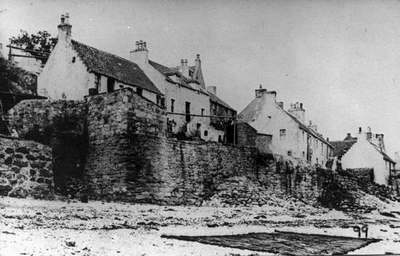 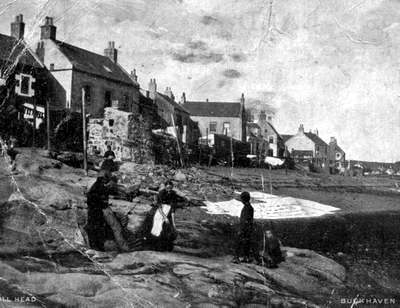 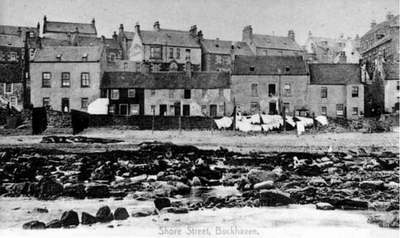 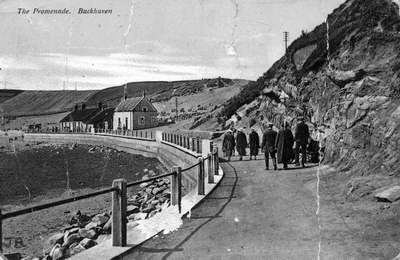 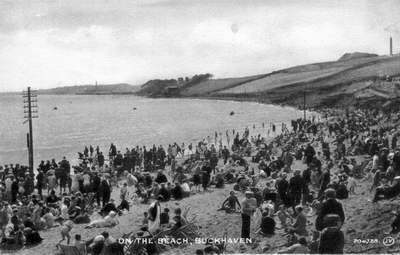 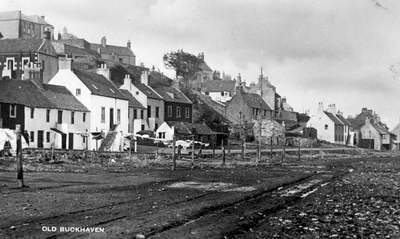 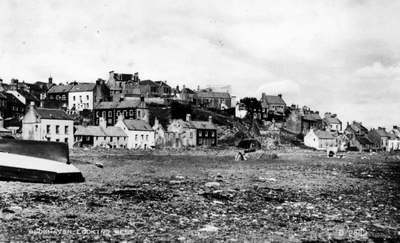 Thanks to Frank Rankin who supplied the photographs below of Auld Buckhaven. 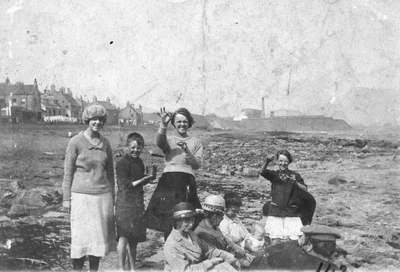 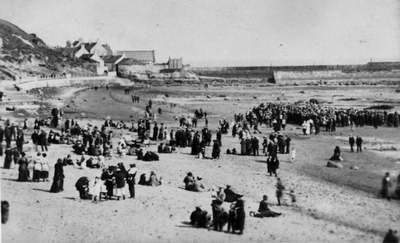 If you can date or add any information to these photographs please send info by e-mail. 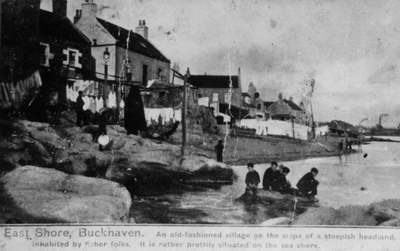 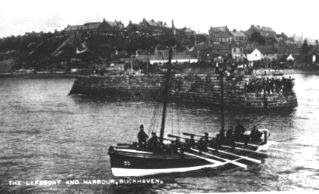 Buckhaven lifeboat takes to the water. 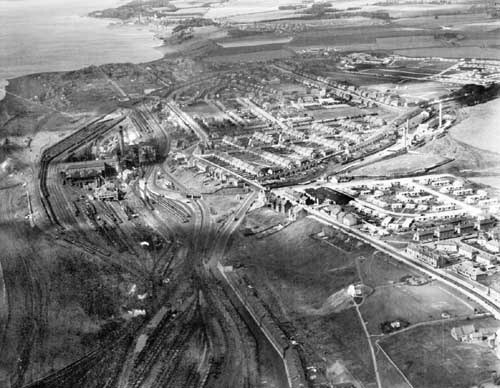 A great view of the Wellesley Colliery. 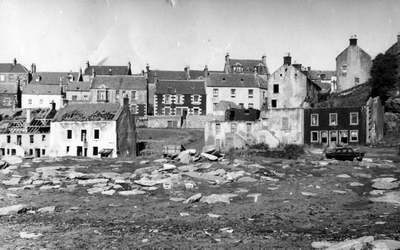 from the housing, or lack of it etc., Let me know. 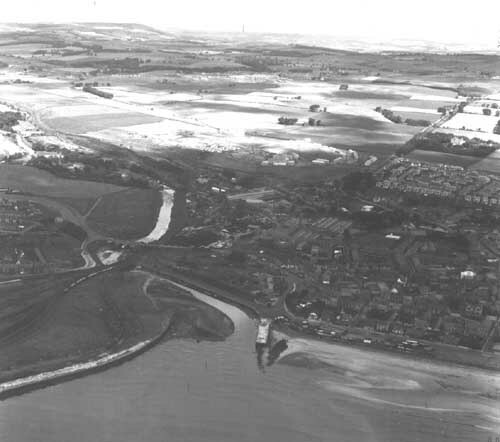 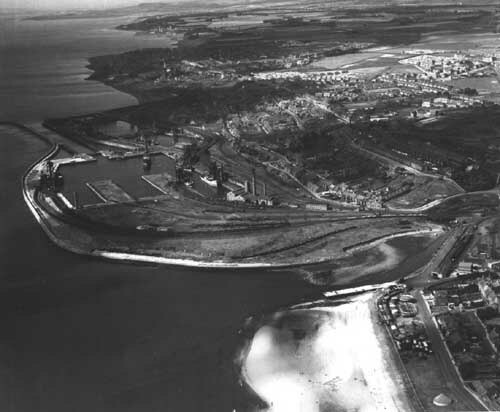 A good photo of Methil docks (left) above and the mouth of the River Leven (right). 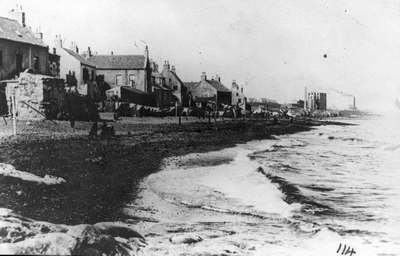 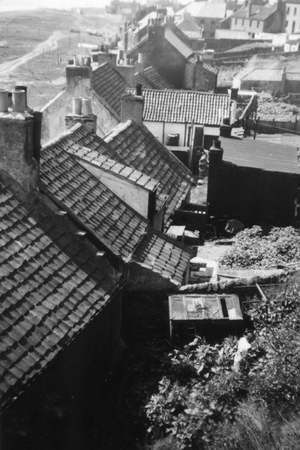 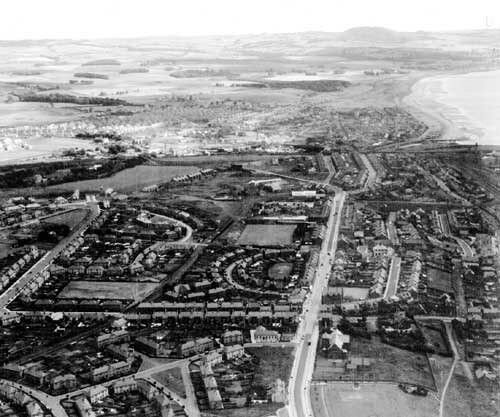 The photo above of Methil looking toward Leven, with Largo Law in the background. 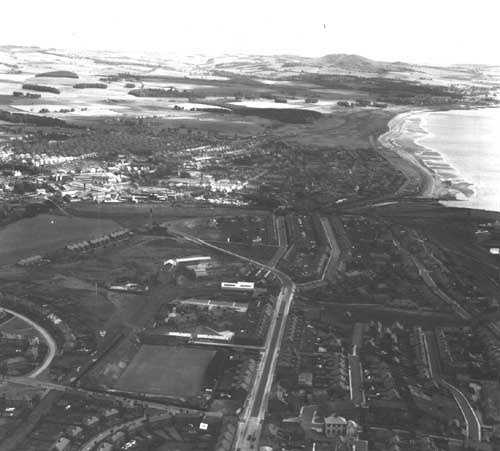 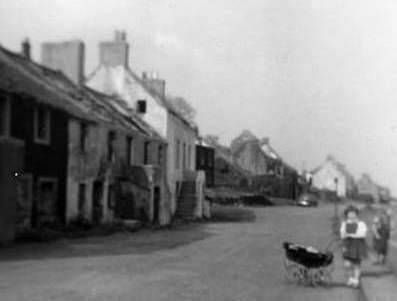 the one on the left (Aberhill) I'd say the photo dates from the fifties.